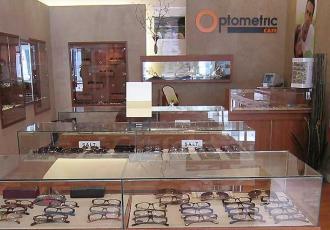 Optometric Cafe specializes in eye care in the heart of Beverly Hills since 2005. We pride ourselves on providing complete eye care and excellent personalized customer service to suit all of the optical needs for you and your family. Our staff is comprised of skillful opticians with years of eye care experience. Optometric Cafe’s highly trained optometrists are experts in providing comprehensive family eye care, measuring and fitting you with the best optical choices, new lens technology and lenses. Optometric Cafe is a welcoming and state-of-the-art optical boutique with highly personalized, friendly service. We offer a wide variety of quality eyewear and luxury brand fashion frames for the most discerning shoppers including Persol, Salt, Oliver Peoples, Channel, Prada, Paul Smith, Tom Ford, Lunor, SwissFlex, Anglo American, Maui Jim, Ray-Ban, Liberty Sport Glasses, Alain Mikli, Kawasaki Kids, Swiss Flex Kids, 2.5 Eyewear Kids, Victory Collection, Prodesign Denmark, Mykita, Eye-bobs, Velocity, Ray-Ban Jr., vintage eyeglasses, and more. You will feel welcome with our professional boutique staff and will rest-assured knowing you are getting the best possible expert care.